Colorado-Washington gets moved to Fox Business Channel even though FS2 is showing an "Ultimate Fighter" marathon. The noon game between Michigan and Michigan State had to be delayed for over an hour due to lightning. For a network, this is one of the most frustrating things about live TV because you’re literally just waiting for the delay to be over and that doesn’t really result in riveting television. The other problem is that a massive delay in one game really screws over what is being shown afterward because there’s no way the first game will end in time. 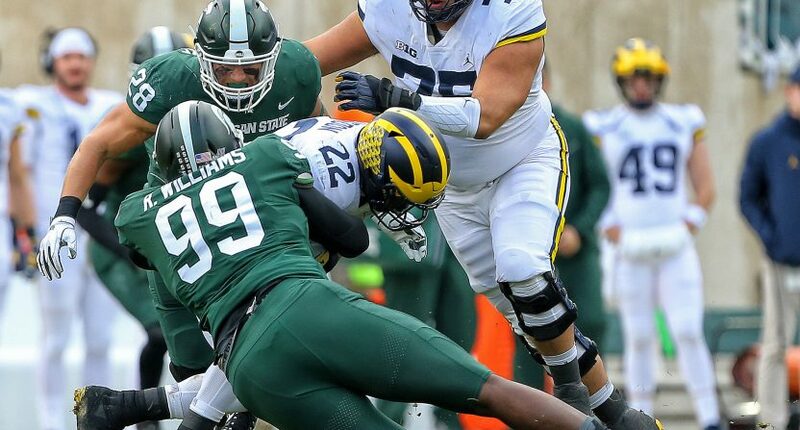 That’s what happened to Fox and unfortunately for Colorado and Washington fans, their game got moved from a national broadcast on network TV to Fox Business Network until things ended in East Lansing. Due to the length of the delay, Colorado-Washington will most likely be late in the second quarter or at halftime before they head to Fox. It’s certainly a move that will upset people, specifically fans of Colorado and Washington, but it’s not like Fox was going to go from Michigan-Michigan State to Colorado-Washington in the middle of the first game and risk some sort of Heidi situation. Since then, networks have kept the original broadcast on TV if things are running late unless it’s a complete blowout. Other than those in local markets in Washington and Colorado, people can either go to Fox Business Network (if they have that channel) or stream the game on Fox Sports Go. Am I watching football on the Fox Business Network? Yes. Yes I am. The reality though is that Fox Business Network is in more households than FS2 and hence is and has been Fox’s dumping channel of preference when these situations arise. The Pac 12 actually endorsed the decision despite the odd programming fit as they’re preference is to just have the game on in as many households as possible. The logic makes sense but that doesn’t help aggrieved Pac 12 fans as Larry Scott television strategy has continued to underwhelm fans of the conference.